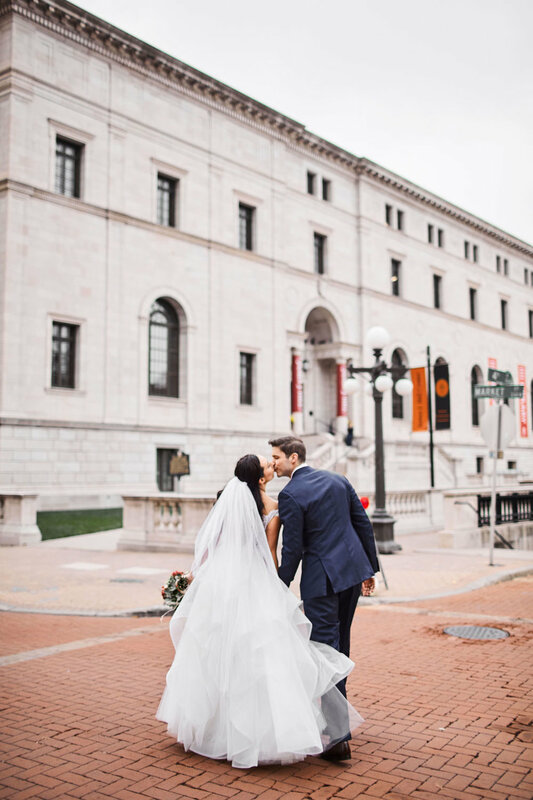 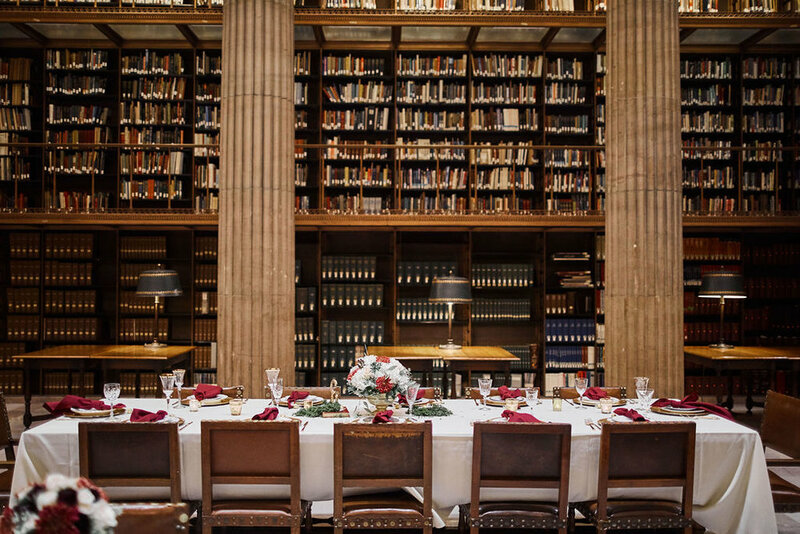 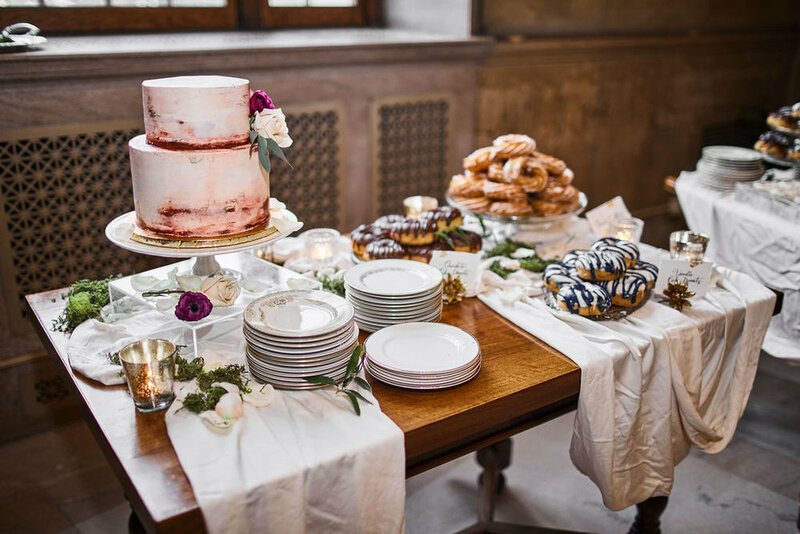 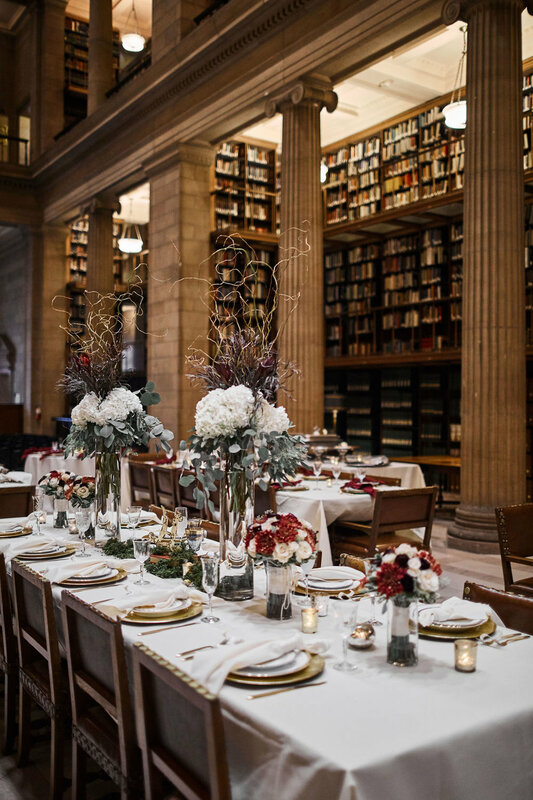 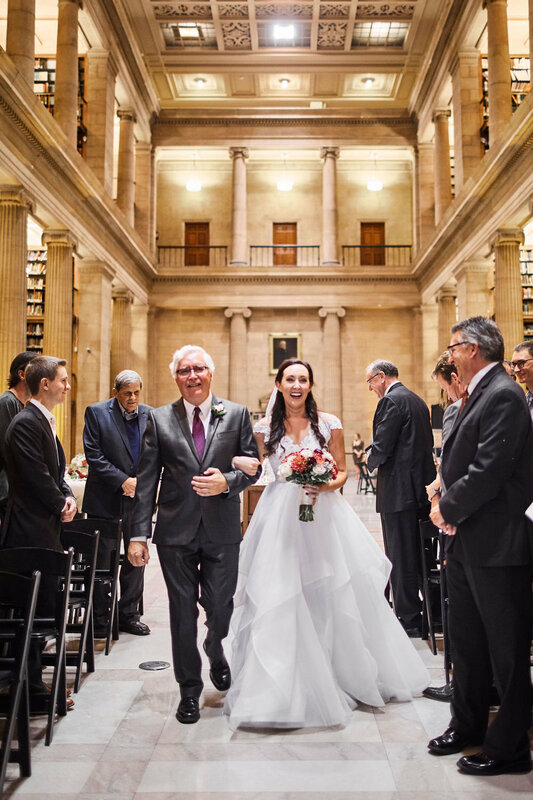 Set in the historic James J Hill library, Katie and Matt’s love of all things literary set the tone for this romantic “Beauty and the Beast” inspired wedding!! 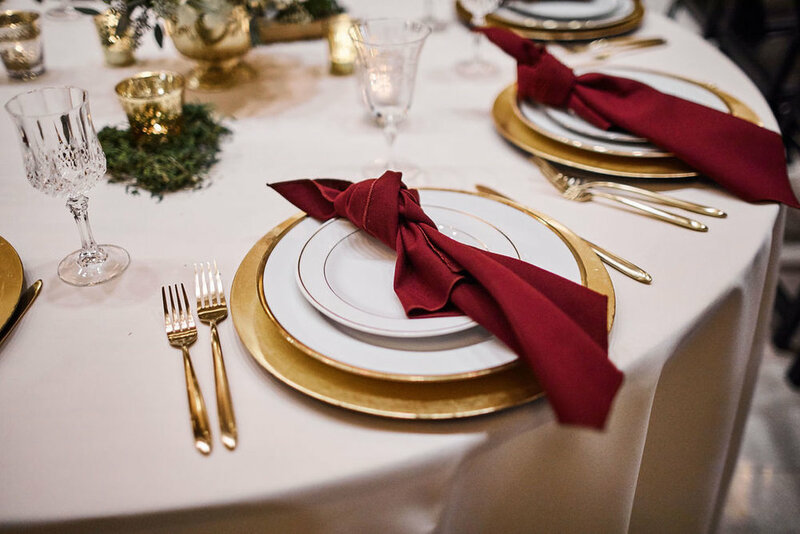 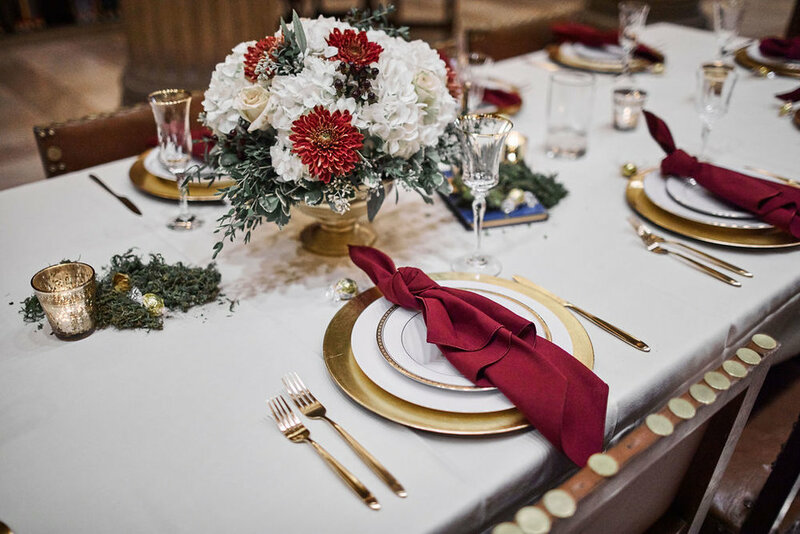 Moody and elegant, the use of warm fall hues on table scapes and florals, painted a richly romantic atmosphere. 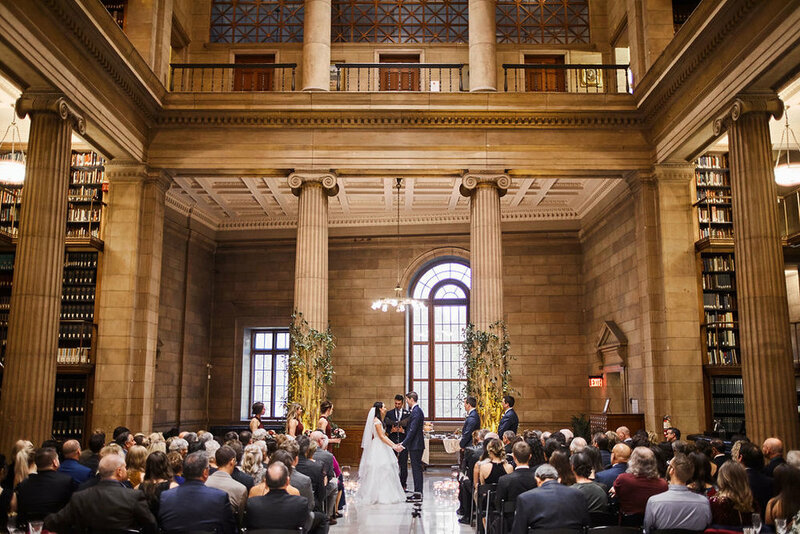 The bride’s timeless gown was uniquely contrasted by the bridesmaid‘s sleek retro gowns. 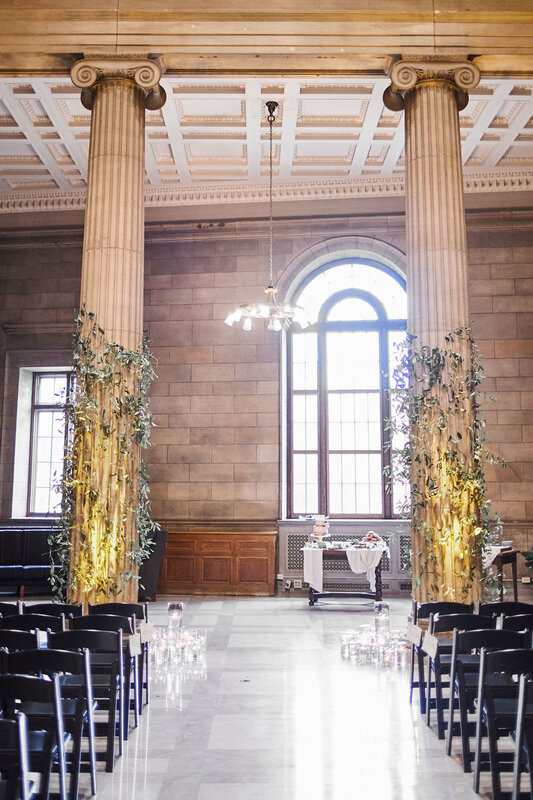 With its stone columns and balconies glowing overhead and candle light everywhere, it was a truly breathtaking event!